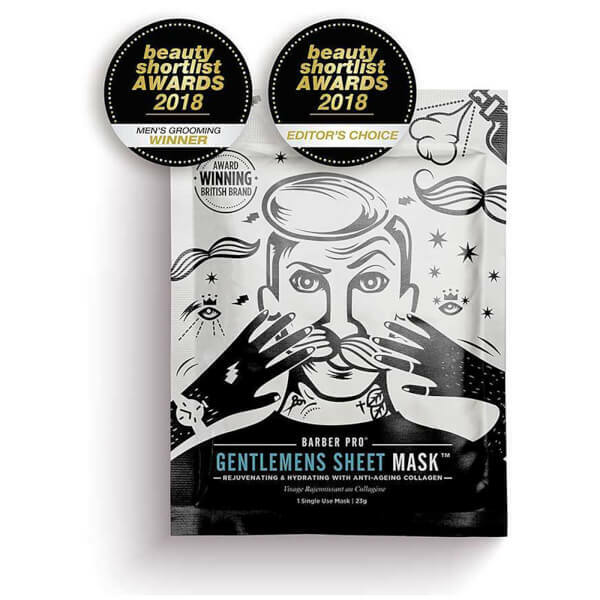 Restore a youthful glow to the complexion with the BARBER PRO Gentlemen's Sheet Mask Rejuvenating and Hydrating with Anti-Ageing Collagen; an anti-ageing facial treatment that sits closely on the contours of the face, and transforms skin in just 20 minutes. Soaked in Marine Collagen and an array of key vitamins, herbs and botanicals, the innovative mask is able to visibly improve skin tone, whilst ensuring the complexion is supple and firm. A dose of Green Tea extract offers antioxidant and antibacterial properties, which target problematic skin. This reduces excess oil and areas of redness, alongside shielding skin from damaging free radicals. 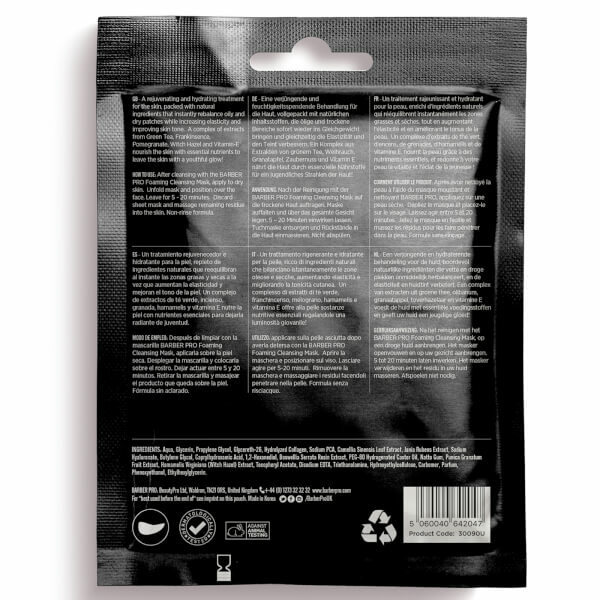 Rejuvenating and hydrating skin in just fifteen to twenty minutes, the sheet mask is easily removed to reveal an ultra-soft visage that bright and youthful. Key Ingredients: Marine Collagen, Green Tea Extract, Seaweed Extract, Boswellia Serrata Plant Extract, Pomegranate, Witch Hazel.